At a British dinner party there might be a bottle of bottle of burgundy and conversation will, inevitably, turn to house prices. At a dinner party in Burgundy, the talk will more than likely be about the cost of land. The thrust of the conversation will be uncannily similar. At the Burgundy table, any vignerons lucky enough to own a patch of vines in a favoured location will be barely able to conceal their glee as the latest eye-watering local sale is discussed. The rumoured €30m per hectare paid for the great Clos de Tart late last year being the most extreme example in a region where seven-figure sums are becoming the norm for a hectare of grand cru land. Later on, there will be varying levels of indignation about interventions by remote corporate investors or foreign billionaires in somewhere that has always prided itself on its small-farmer character. At some point someone will say it’s now impossible for ordinary vintners to find land in the best areas. They will mention people they know who’ve moved to the hinterland – south to Mâcon or Beaujolais, or who have maybe even tried a new life overseas. In other words, it’s akin to gentrification, with many winemakers – particularly younger ones without a family domaine – moving out to the equivalent of the suburbs. Burgundy is far from alone in this. 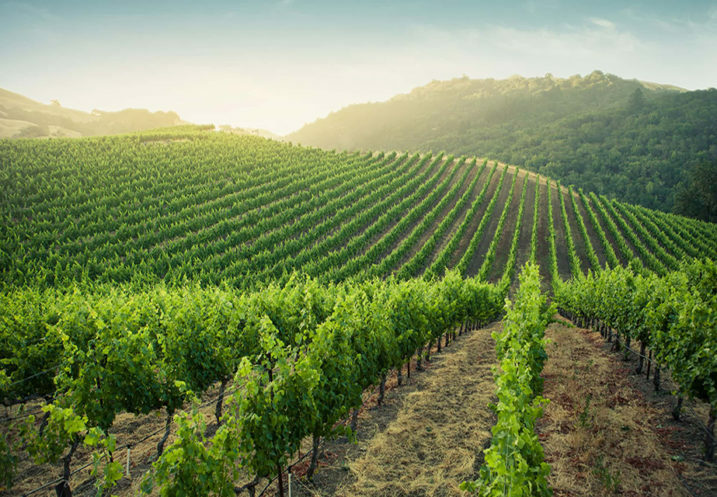 In California, the prohibitive cost of land in the exquisitely manicured acres of Napa Valley means many of the state’s most enterprising winemakers are looking to remote regions in the highlands and along the coast. A similar process has taken place in South Africa, driven by those despairing of ever finding a place of their own among the vast and luxurious estates of Stellenbosch. This has had a profound effect on how wine is drunk. While there is no doubt many winemakers operating in the historic margins still dream of having a place in wine’s Zone 1, their presence in Zone 6 has transformed conceptions of where good wine can be made. Places such as Burgundy’s Vosne-Romanée or Bordeaux’s Margaux deserve their reputations; but, it turns out, Mâcon-Verzé or Castillon can be pretty exciting, and in a similar style, too. For buyers, the tourists in this analogy, there’s now at least as much fun – and certainly better value – to be had by heading out of the centre. Whether it’s Dão rather than Douro in Portugal, Montsant rather than Priorat in Catalonia, Santa Barbara rather than Sonoma in California or the crus of Beaujolais rather than the grand crus of Burgundy’s Côte d’Or, it’s time to explore the suburbs.